MH370 is still missing. People all around the world is crying, hoping and praying for a miracle to happen. But, the hope is almost faded when the Prime Minister of Malaysia, Datuk Sri Najib Razak made a press statement saying that the aircraft last location pinged by the INMARSAT satellite was at the Indian Ocean. The statement made by the Prime Minister had causes rage by the affected family member from China. With foreign media bashing the Malaysian Government and associate us with ‘Muslim Terrorist’, we, the Malaysian citizen feel oppressed, sad and frustrated. By all means, we are not terrorist! We are just humans. We had been living in peace and harmony for the pass years. I know that everyone is upset with the fact that the SAR team is yet to come with solid evidence about the missing air craft, but Air France was found 2 years after they crashed in the Atlantic ocean. With the progress made the SAR team, I believe that they soon will find out what happen to the air craft. To all foreign media, on behalf of the citizen of Malaysia, from the bottom of my heart, please stop all the speculation and false accusation on Malaysia. The SAR team – formed off from different country – is doing the best that they can. You should try to understand, give them motivation to continue what they are doing. What if all this happen to you later in the future? What will you feel? God is the best planner ever, you too should be prepare for a time like this. You really should. You’ll never know what will happen in the future. To the people in China, I understand that you are hurt and sad about the incident. If anger is the way to show your emotion through this mourning period, do it! Let it all out! and make yourself feel better. When you feel a lot better, never ever forget to pray! You’ll never know what will happen next. Let’s together pray for the best. 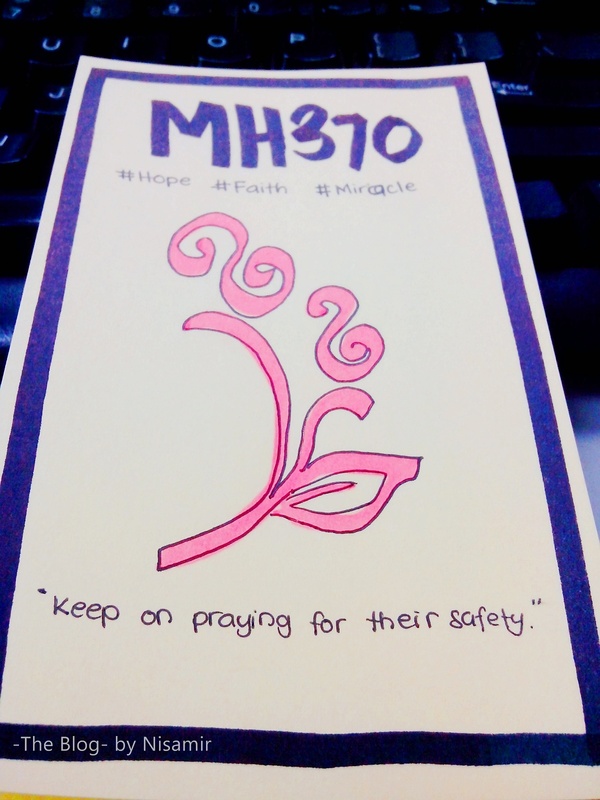 Because, Malaysian and other nationals is also praying for their love one to come home.